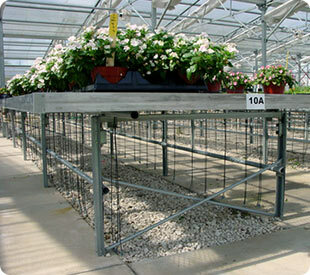 Our Benching Systems have your materials handling needs covered, no matter how big or small your operation. 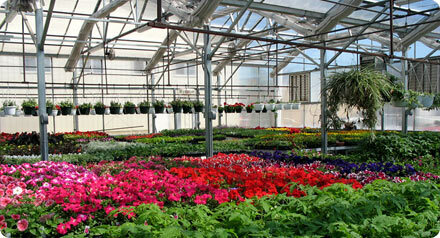 We custom fit our bench systems to meet your greenhouse growing environment. 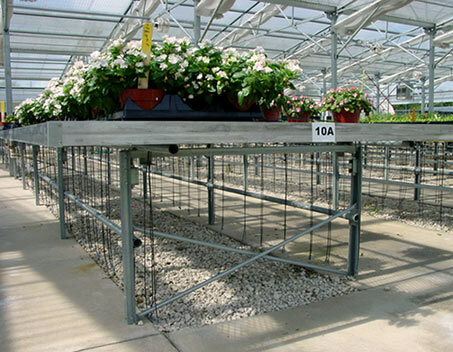 We offer stationary benches that keep consistent aisle spacing or you can maximize your growing space with our rolling bench system, cutting down non-production space to only a single rotating aisle. 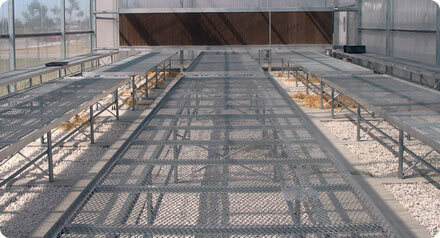 Our benches feature roll formed legs that provide superior strength and prevent water build-up and associated corrosion. 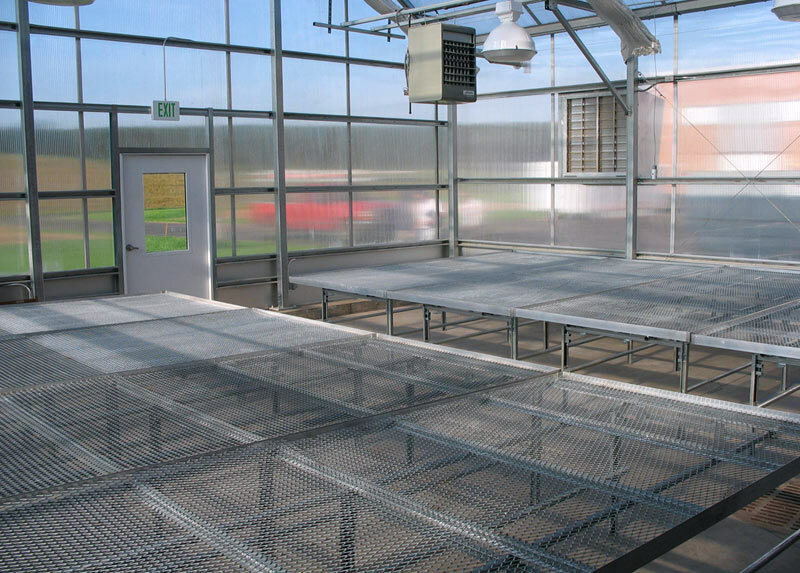 Handle your crop efficiently and effectively with benching systems from United Greenhouse Systems. 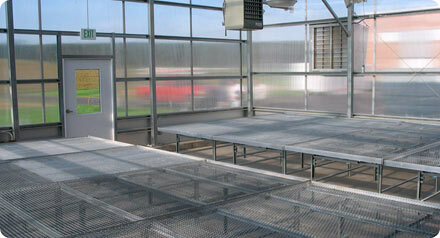 Rolling Benches available from United Greenhouse Systems. 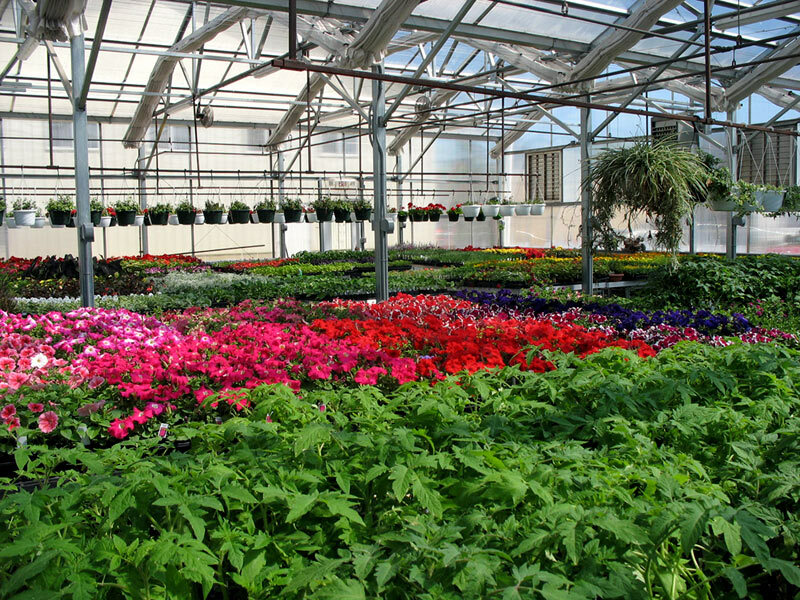 Stationary Benches available from United Greenhouse Systems.